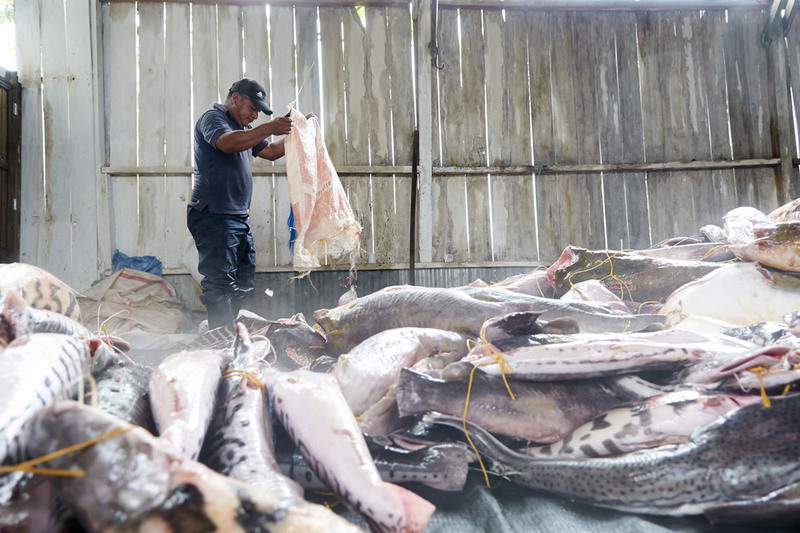 As you would imagine, along the World's largest river, fishing is one of the main industries and has become a way of life for many who live along its banks. 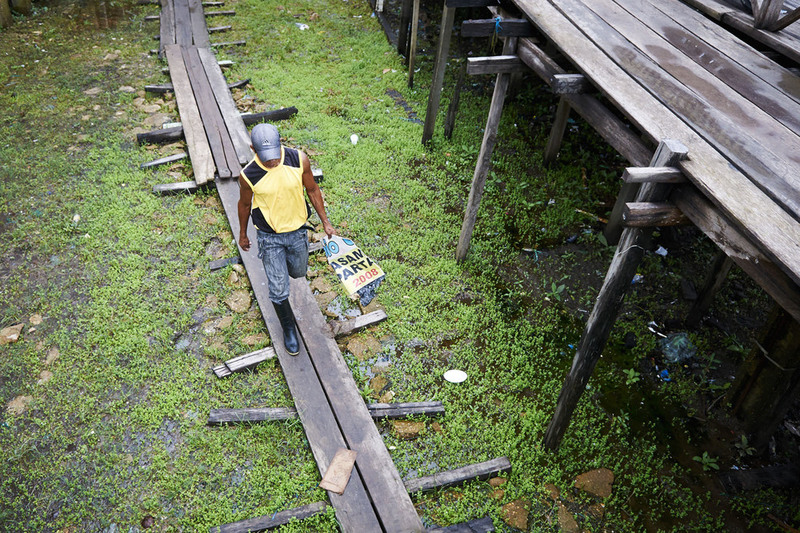 This is a story of factory life in the Amazon. The Amazon River is the life, blood and soul of the Amazon Rainforest. Most civilisation is clustered along its banks, Leticia being the main town in the Colombian part of the Amazon. 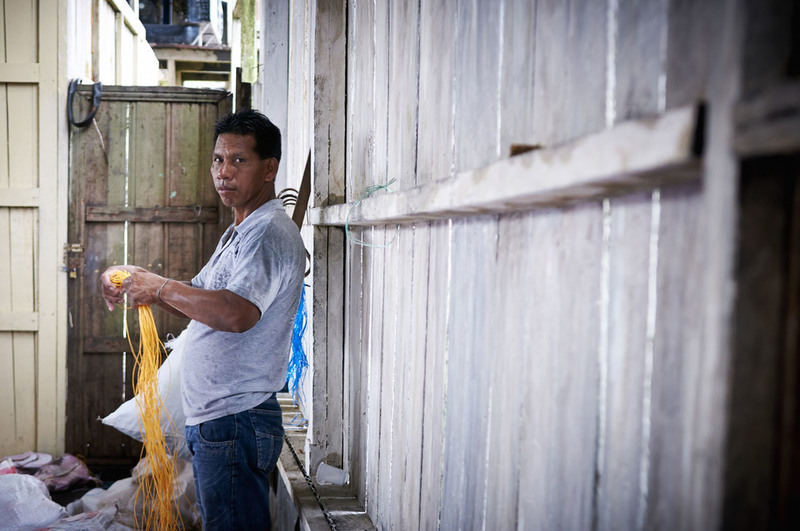 It's a bustling town, but being so remote, life is simple, and seemingly unaffected by the outside world. 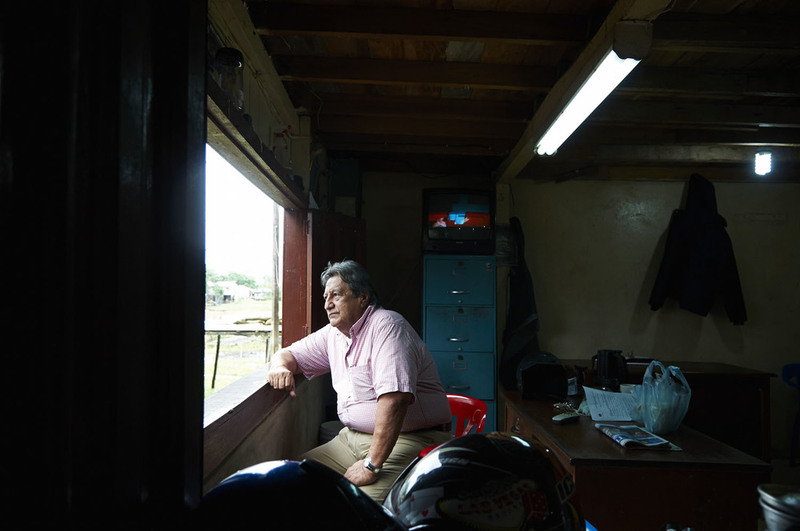 As part of an assignment for a sustainable tour operator, I wanted to explore some of the working lives out here, and how they have evolved with so little external influence. 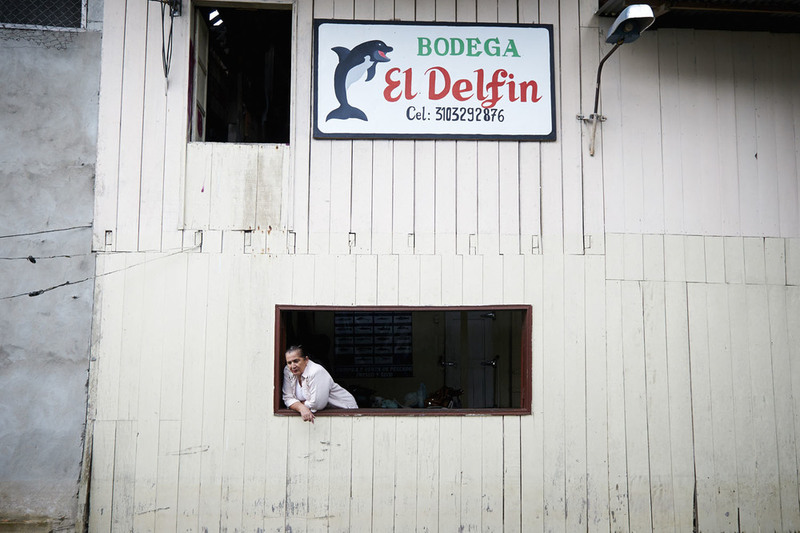 During a morning wander around the town, hidden behind a little riverside cafe in Leticia, I discovered El Delfin, the town's main fishery. The big boss was eager to show me round. It was a fascinating process to watch. A real working factory, reliant on hard graft, rather than technology and mechanics. The smell and number of fish was overwhelming. 80 tonnes of fish are transported from the river here every month - it's a wonder there are any left. 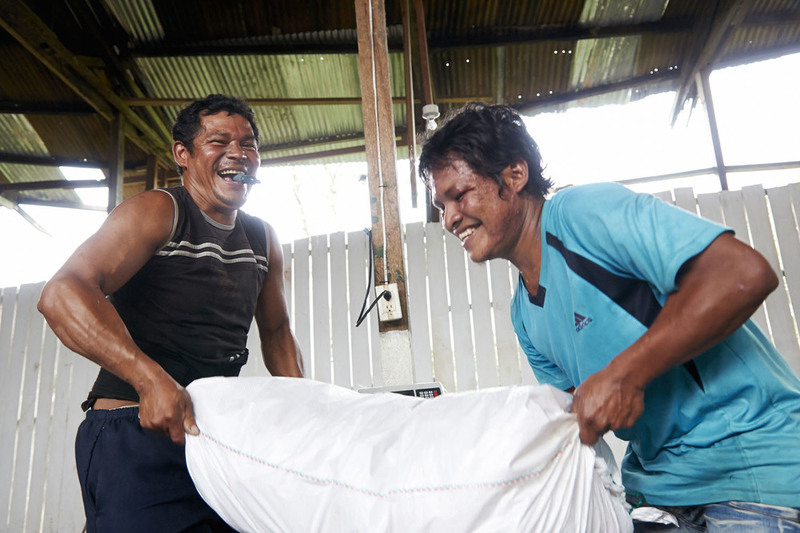 They're sorted, weighed, packed in bags, frozen and sent to Bogota to be sold. And the big boss watches over the whole process, no doubt counting the dollar signs in his head as the fish pile up. I sat and watched and photographed the work for over an hour. Everyone had their role - it was a factory line process. There was a slight air of monotony and boredom, but determination to get the job done. But when a big fish came in the atmosphere changed and the break in the monotony caused great excitement. The chosen selection of images offer a little insight into the processes involved and the atmosphere amongst the workers. I hope you're able to enter their world for just a short amount of time, and imagine how different life can be. If you're at all inspired to visit the Amazon, I would recommend getting in contact with our guide, Sergio - one of the most passionate and genuine guides I've ever had the privilege to travel with. He made this part of the trip for me and would make yours too if you do venture out that way! Please feel free to get in contact for more info.